Star Wars: Episode IX is back filming at the Cardington Airship sheds for additional filming, we break down what we heard from our friend on location and what it could mean in regards to reshoots and principal photography for the film coming to an end! We also talk about John Boyega being the only source for vague teases about Episode IX, and the rumored details about the Rise of the Resistance ride at Disney Parks’ Galaxy’s Edge. As always we answer your questions in #AskTheResistance like – How would we feel about Chris McQuarrie writing and directing a Star Wars film? John Hoey and Lacey Gilleran! James Baney was not with us, he was sent out on a very important Resistance mission and will return next Monday! If the audio version is your preferred method nothing has changed so no worries! You can always find us on Soundcloud, iTunes!, and Spotify! One of our favorite segments on the podcast is where we hear from you! 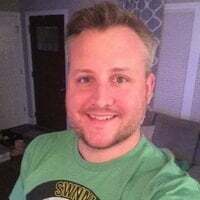 Send us your questions for our segment Ask the Resistance and get featured on the podcast! 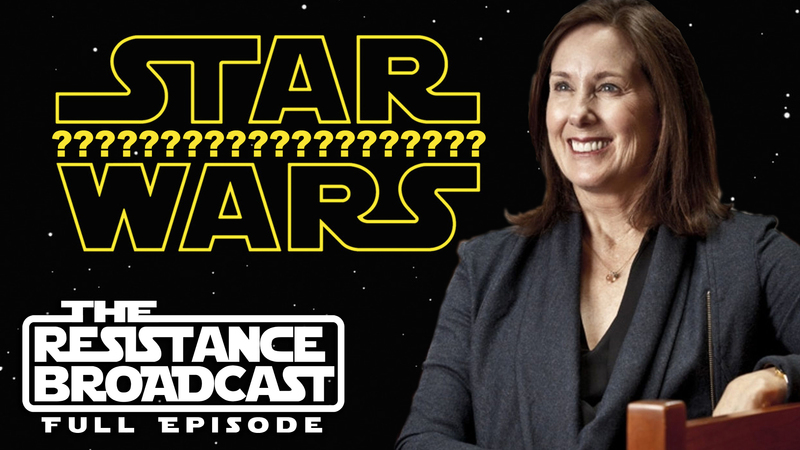 If you would like to submit questions for the show you can tweet at us on our Twitter account @RBatSWNN, message us on the Cantina Forum in the questions and comments thread, or send an email to resistancebroadcast@gmail.com. Your support and comments are highly appreciated and you always make the show more fun! If messaging us on Twitter, make sure to include #AskTheResistance so we can access your questions directly every week. Our Patreon page is now LIVE! Click here to check out our FIVE tiers, see which one you like, and join the Resistance! We already have a lot of exclusive and fun content on there and a lot more coming, like our full audio/video commentary of The Phantom Menace, our weekly rumor review videos, Star Wars merch unboxing, comic reviews, Q and A videos, exclusive giveaways, and more fun stuff! Special thanks to our patron Admirals Don Boring, Brian Shellito, Tampa Movie Guy, and Bryan Pothier, and our Generals Adam Odle, Carmelo aka A Gray Jedi, and Val Trichkov! Check out our 40-plus designs and pick one you like on a shirt, coffee mug, tank top, sticker, hoodie, pillow, anything! 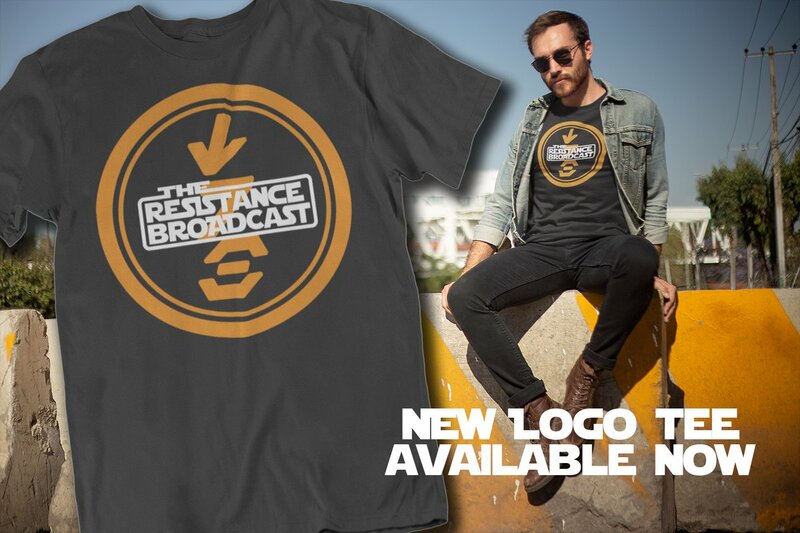 Simply go to our Resistance Broadcast store on TeePublic! Our NEW logo shirts are available! Join the Resistance!